I’m often asked about the best way to learn how to use BeerSmith software? The best way to get started is by visiting our video page at BeerSmith.com/video – which has detailed tutorials on how to use BeerSmith 2. There are some 28 videos in all covering BeerSmith desktop, BeerSmith mobile and our BeerSmithRecipes.com recipe sharing service, and each is just a few minutes long. After the launch of BeerSmith 2.2 a little over a month ago and BeerSmith Radio in December, I started on the task of updating all of the BeerSmith tutorials to reflect the changes made in the new version. I also upgraded the desktop videos to HD and significantly improved the audio to make for a better overall viewing experience. I hope you will find the new videos easier to view and use with your BeerSmith desktop and mobile programs. The new videos are available at BeerSmith.com/video. You can also reach them from the Videos link at the top of our main page BeerSmith.com or by clicking on Help->Videos within the BeerSmith program. You can download a free trial version of BeerSmith desktop for PC, Mac or Ubuntu Linux here, and you can find the mobile version of BeerSmith on the iTunes app store, Google Play store or on Amazon. 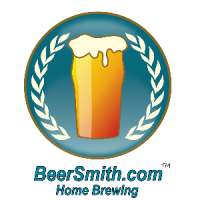 Thank you for joining me this week on the BeerSmith blog – please subscribe to my newsletter, podcast or listen to BeerSmith radio for more great tips on home brewing.